Such hostility from a florist. There is a left turn there for bikes which the vans are blocking. You can’t turn left on the road as it is one way so the only option is to cycle up on the footpath if you want to turn left. Do that then the likes if you would be moaning about that. A few clamps would do the job. By the way the bike lane sign has been missing since at least May, so I don’t think it was removed specifically to allow these vehicles to park in the lane. 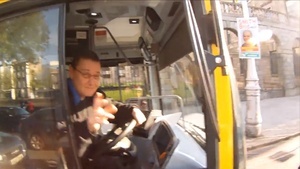 jesus, cyclists are such a pain in the hole. use the rest of the road ffs! I cycle to work every day btw. I am sorry for your hole, but may the cause of your discomfort continue! 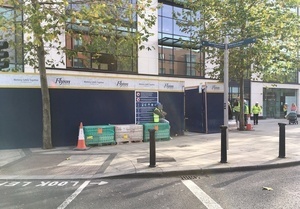 Perhaps the poxy cycle lane was temporarily taken away so the builder could access the construction site. Christ if cyclists showed the same passion for more important issues in life the world would be a better place. Just a bit preoccupied by not getting run over for the time being. I am however firmly behind a massive congestion charge for cars in the city, if that’s the type of thing you mean. 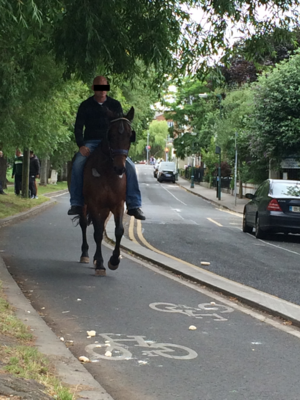 Dubin is too small without the appropriate cross city transport infrastructure to justify a congestion charge. Christ if you showed the same passion for more important issues in life the roads and world would be a better place. I also pass that spot every day. I agree that cyclists can get by, but it’s a bit galling that the builders just ignore the law. 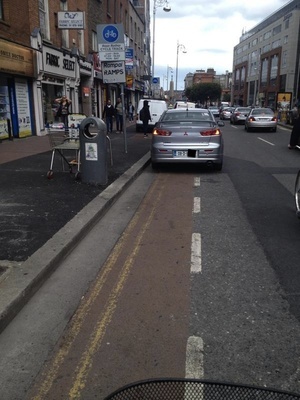 There is one car there with no number plates, tax insurance or NCT which has been parked in the cycle lane for a week. 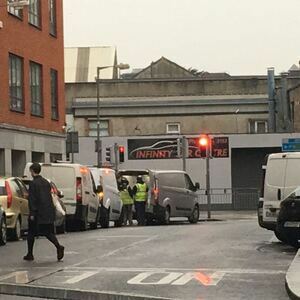 I reported this to the Bridewell and a garda contacted me later to say he had visited the site and later asked Dublin City Council to remove the car. While he was at it, he ticketed the cars that were there that day. So maybe Simon might consider contacting the Gardaí. Well done Liam; excellent civic duty by you. I bet you slept soundly that night, knowing you brought justice to those motoring criminals… simply knowing that those motorist were fined and may/maybe not penalties may have been applied to their license for failure to display necessary discs or other infringement, means those victimless crimes are been taken very seriously and that the society will not stand for it. How did you get the name AssPants? How society works, 101 – there are rules, people follow them, exceptions are remediated. I read that in a very sincere tone and felt much better. Hear, hear. Just to clarify as that picture was taking at the designated drop off time it looks at lot worse than the picture portrays. 2 of the vans where associated with site activity and have moved on. The remaining cars have nothing to do with FMC. 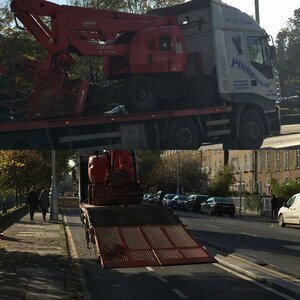 We have been onto to the council to move the abandoned vehicle. There is a constant flow of traffic /deliveries into the surrounding building. Simon Judge if you need to chat on this can you please call our head office and they will pass on my number. Just how bad is it, Paul? Well played Paul ftw. Simon is far too much of a passive aggressive troll to ever bother contacting you though. Would you call that “the sound of silence”, wha? I totally get that any construction site in the city requires a designated drop off zone and time to do this but do you think both sides of the street should be blocked off? One should suffice no? I have seen that abandoned vehicle and would hope DCC will remove it. 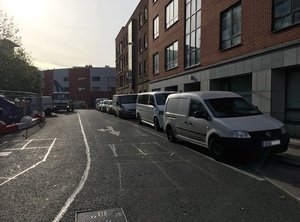 FYI, as of ten minutes ago there were still four vehicles parked along the designated cycle lane (including the one that has apparently been abandoned). I have no doubt safety on the site is taken very seriously and would appreciate if this was also extended to the public passing outside the site. Good job, Simon. For real. Thank you. Why manolo? Why is it a good job? Simon really sounds like a remedial case. Andrew, I think I heard your mum calling you, dinner is ready. I’m just finishing work manolo. I’ll be on my bike cycling home and won’t be moaning about the odd person parked in a cycling lane trying to get a bit of work done. I wish my mum was calling me. she’s gone now. You’re not allowed to stop, or even enter that cycle lane at any time (unless to access a driveway). “ah sure it’s grand, it’s not as bad as it looks” is a pretty unsatisfactory answer. Its unnecessary to have a bike lane on this street, it gets minimum traffic as it is. Hopefully this post highlights the issue and gets some badly needed parking spaces for the area.